MC38 owners - photo by Bob Fowler, 2014. 29 NOVEMBER 2014 - The local MC38 Dark Star took the early series lead on the magic opening day of the Blackmores MC38 Open regatta, a result of tidy crew work rather than local knowledge assures owner John Bacon. Four races into the seven race series and Dark Star from the host Royal Prince Alfred Yacht Club leads Lang Walker’s Kokomo by two points and Marcus Blackmore’s Hooligan, another RPAYC boat now third though on equal points with Kokomo. 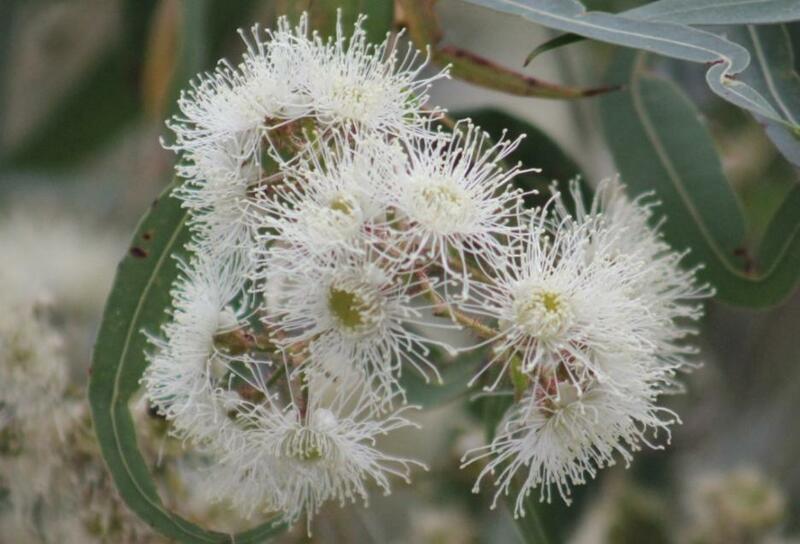 Angophora costata - currently in flower - A J Guesdon picture, 2014. Member for Pittwater Rob Stokes today (27 November 2014) welcomed further changes to the NSW Rural Fire Service’s Vegetation Clearing Code of Practice. In September the Rural Fire Service fast-tracked a formal review of the Code and announced a series of amendments to reduce the Code’s clearing entitlement areas. Further amendments have now been made to limit the provisions of the Code to those properties at greatest risk from bushfires. The clearing eligibility area has now been reduced from 350 metres to 100 metres for Category 1 Vegetation and from 150 metres to 30 metres for Category 2 Vegetation. Local Councils have also been reminded to reclassify any vegetation areas not believed to pose a bushfire risk and submit their revised maps to the NSW Rural Fire Service. “This is a sensible decision which aims to strike a much better balance,” Rob Stokes said today. “The disappointing misuse of the Code and the pointless removal of trees simply couldn’t continue. “Properties in our community’s highest risk areas will continue to be afforded greater protections but the criteria has now been significantly refined. “It’s really important for residents to revisit the Rural Fire Service website to check the new classification of their properties before undertaking any vegetation clearing. “Heavy penalties continue to apply for any residents who remove trees or vegetation without proper authorisation. “These changes continue to assist the most vulnerable residents in our community whilst limiting the opportunities for abuse,” Rob Stokes said. Photo from left to right: Bill Brockhurst, Cec Robinson, Don Gale, Brin Franklin, Michael Carrodus, Aldo Sirotic, Rob Stokes, Paul Crowley, George Parsons. 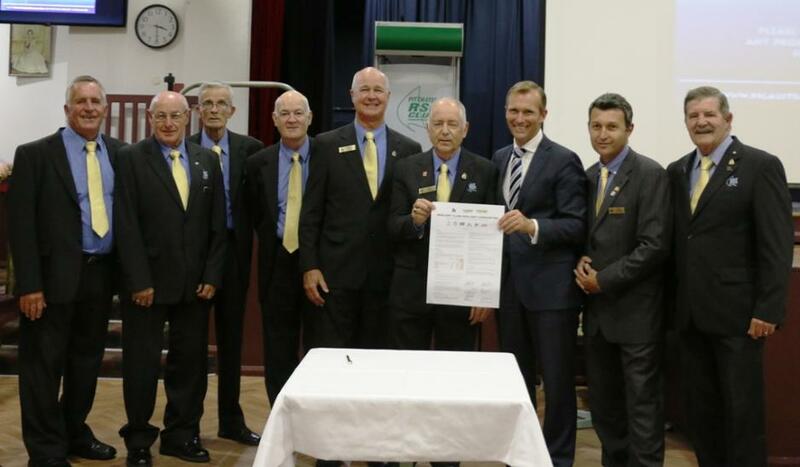 Pittwater RSL today (Nov. 25) thanked local MP Rob Stokes for his support of not-for-profit clubs at Friday’s signing of a historic Memorandum of Understanding between local clubs and the NSW Government. Minister for the Environment and Member for Pittwater Rob Stokes signed the MoU, which provides stability for local clubs and the wider community over the next four years, as part of an official ceremony at the club today. The MoU provides certainty not only for clubs in the electorate of Pittwater, but also for their more than 520 employees, 45,000 members and more than 415 club volunteers. The agreement locks in tax rates for the next term of the NSW Government and commits to further enhancing the ClubGRANTS program – a move that is expected to see the average annual economic contribution of clubs to the state grow to a record $3.7 billion per year, while the amount of direct community funding is expected to soar to $128 million per annum. With a focus on strengthening industry viability and red tape reduction, the 2014 MoU also makes sure local clubs can continue to operate as community hubs, building and maintaining essential local infrastructure. Entries for next week’s Sail Sydney are closing in on the 300 mark and the decision to waive the late entry fee and final surge in registrations is pushing organisers of the annual sailing regatta hard to process the resulting paperwork. 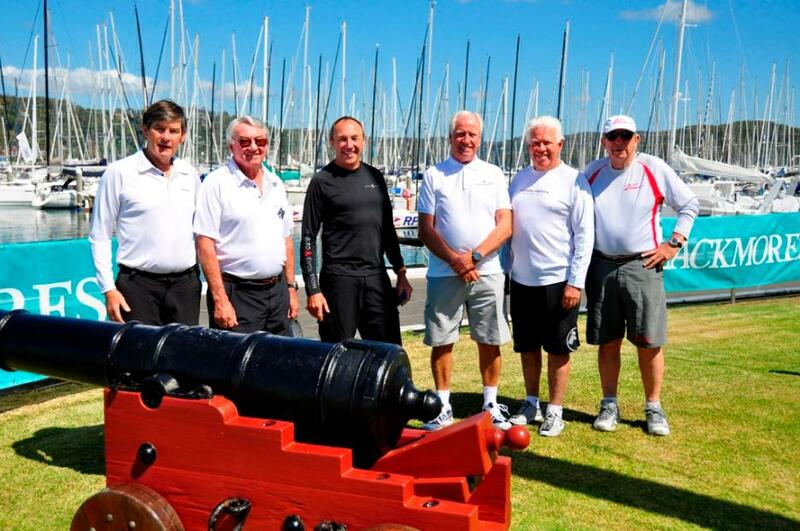 The 2014 regatta is based at Woollahra Sailing Club at Rose Bay with the competition to play out on Sydney Harbour 2-7 December 2014, just one of the maritime events under Sydney’s Festival of Sails banner for the month of December. Olympic classes race Tuesday December 2 to Thursday 4 and the youth and open classes from Friday 5 to Sunday 7. A healthy international fleet will fly their corresponding country flag for Australia, Canada, Switzerland, New Zealand, Brazil, Finland, Italy, Russia, Great Britain and Belgium. The International Moth class is readying for its world championship next January at Sorrento Sailing Couta Boat Club in Victoria and the local Sydney fleet is taking advantage of the chance for valuable regatta practice in the run-up to the title. 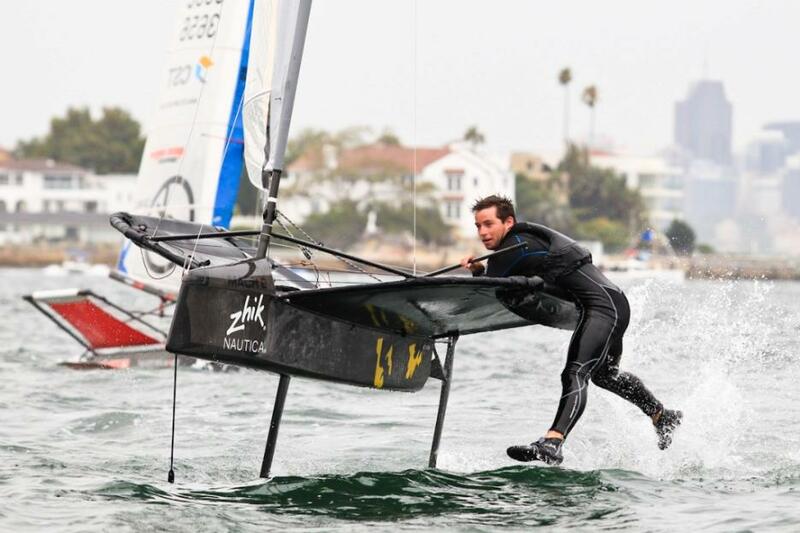 Moth world champion from 2012 Josh McKnight, sailing for the Royal Prince Alfred Yacht Club, is gearing up to regatta mode after his last major competition, the Moth worlds at Hayling Island in the UK in July. “It’s good to race in a proper regatta setting. Sail Sydney is important for getting my regatta experience back up,” he says. McKnight maintained his fitness over the cooler months running in soft sand and swimming with the Bold & Beautiful swim squad at Manly Beach three times a week. Sailability - Crystal Bay "Thank You!" Sailability Crystal Bay - Sailors and Supporters - A J Guesdon Picture. 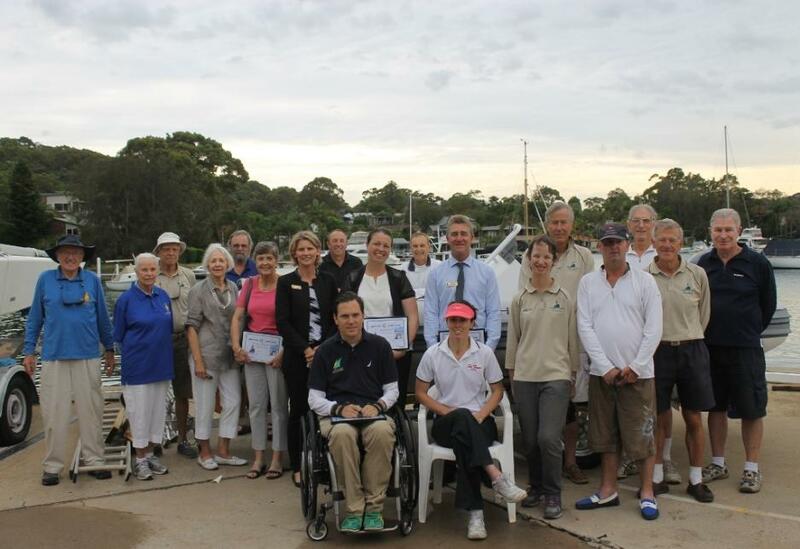 Sailability Crystal Bay held a thank you morning on Tuesday 25th of November to mark an outstanding year and present their 2014 supporters and sponsors with Certificates of Appreciation. The Crystal Bay chapter of Sailability has completed 2014 with some great results for all sailors and is succeeding in its aim to hone the aspirations of Pittwater sailors who wish to compete at State, National and International level. With skilled sailors Linda Buchan and Alyse Saxby and Greg Hyde training on Pittwater, the future is looking very bright. 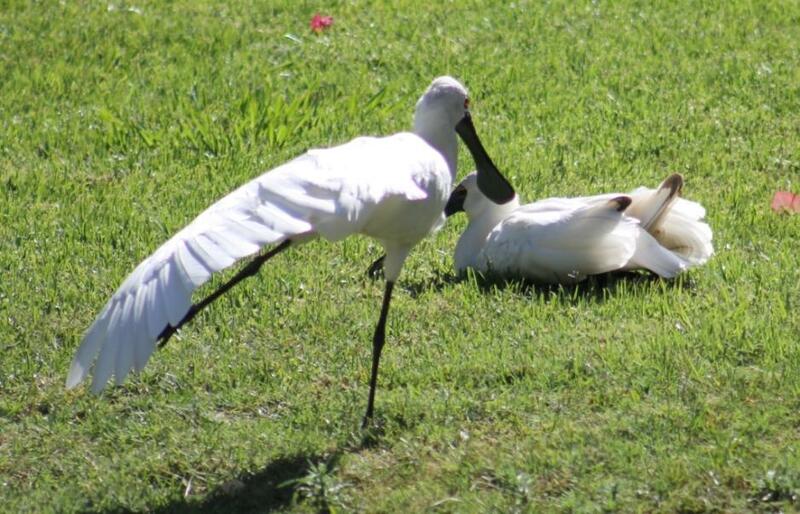 Royal Spoonbills at Careel Creek this week - will we see babies soon? Summer commences on Monday - 1st of December 2014. Picture by A J Guesdon, 2014.